A 25-year-old woman has died after she was stabbed at a house in west London. The woman, who has stabbed in Pinkwell Lane in Hillingdon at about 05:10 GMT on Saturday, was taken to a north London hospital where she was pronounced dead a short time after. The woman has not yet been named as police are awaiting formal identification. Post-mortem tests are being carried out at Uxbridge Mortuary. 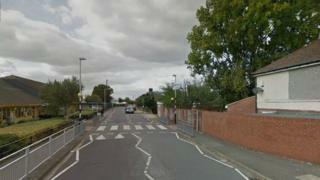 A 22-year-old man was arrested at the scene on suspicion of murder. Met Police said they were not looking for anyone else in connection with the woman's death.